This workshop explores innovative ways of integrating COTS software into software systems for purposes often unimagined by their original designers. 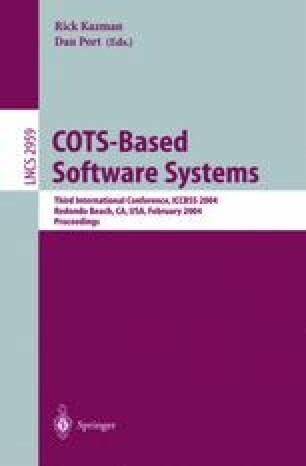 It emphasizes tools and techniques for plugging COTS into software systems safely and predictably. The past has predominantly explored how to deal with COTS integration during requirements engineering, risk assessment, and selection. This workshop focuses on how to complement ordinary software development with techniques for designing, implementing, and testing COTS integration.